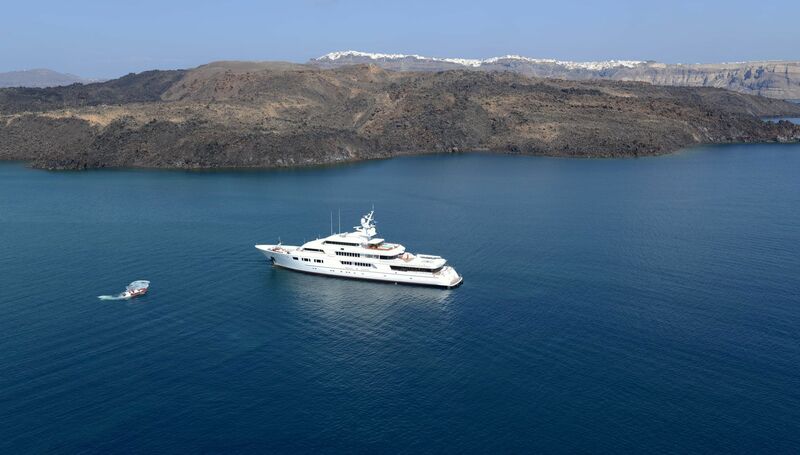 Motor yacht ASTONDOA 102 GLX is a 31 meter 102 (foot) charter yacht built by ASTONDOA in 2006. The motor yacht can accommodate up to 9 guests in 4 cabins and is based near St Tropez, able to charter throughout the Western Mediterranean. Elegant motor yacht with 2 bow solarium, flybridge with cockpit, dining and chill out area, , big Jacuzzi with dining table, swimming platform and stairs at the stern. The interior finishing are made of premium wood, leather and marble. On the superior dock we find the living and dining area, independent steering control, office-cabin with half bathroom and a spacious kitchen zone. On the inferior dock we find the luxury Master and VIP cabins on suite and two big double cabins with bunk beds on suite also. For cabins that can accommodate up to 10 guests. A gorgeous yacht to enjoy for a day trip or a cruise around Mediterranean Sea.